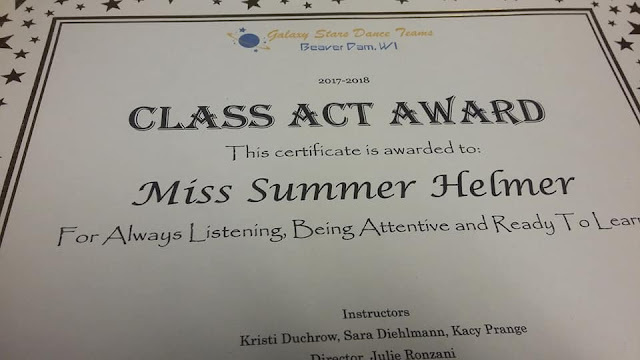 Yes, it's just a a certificate from her dance school (which was awarded last night at her dance team banquet). But, I do take a lot of pride in this one. My daughters aren't well behaved 100 percent of the time (what kid is?). However, one thing they do understand is dance/ice skating is a privilege and those activities cost their mother and I a pretty penny. So, when they participate, they make sure to give their full attention because they know we are paying for it. Certificates like this one and the award her older sister won earlier this month just show they are doing that.